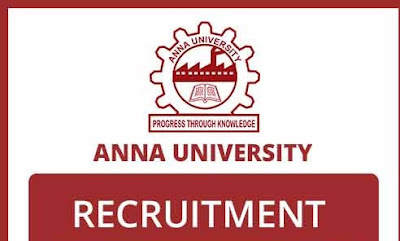 Anna University has announced its recruitment notification on their official website for the following posts such as Junior Research Fellow, Analyst, and field assistant. Want to apply for it? Now you can check below. Anna University is a technical university in Tamil Nadu, India. The main university campus is located in Guindy, Chennai. It was named after C. N. Annadurai, former Chief Minister of Tamil Nadu on 4 September 1978 . It became an affiliating university in 2001, absorbing all engineering colleges in Tamil Nadu. In 2007, it was split into six constituent universities namely Chennai (campus), Chennai, Coimbatore, Madurai, Tiruchirappalli and Tirunelveli. On 14 September 2011, the constituents were merged back to a single affiliating university for engineering colleges in Tamil Nadu. The Government of Tamil Nadu established the Anna University of Technology on 4 September 1978 through Tamil Nadu Act 30 of 1978. The new university was formed from the while University of Madras faculty of engineering and technology and consisted of four institutes namely Madras Institute of Technology, College of Engineering, Guindy, Alagappa College of Technology and School of Architecture and Planning. In 1982, the name current name "Anna University" was adopted. Graduation details :- PHD / ME / M.Sc. in environmental science. Education details:- M.Sc. in chemistry / M.Sc. in environmental science / BE in environmental engineering. Age range:- As Per Company Norms. Applicant should submit the application form along with attested copies of all certificates send to the Director, Centre for environment studies, college of engineering guindy, Anna University, Chennai or email to directorcesau@gmail.com on or before 19th June 2017.